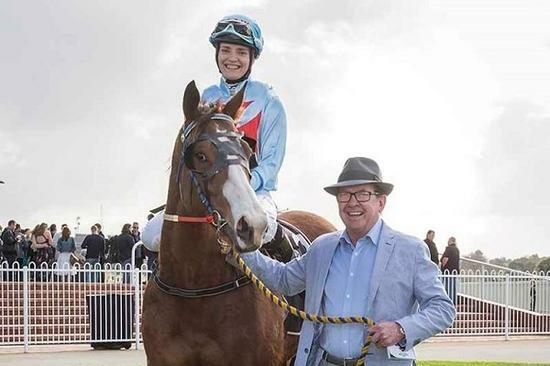 It was a day to remember for SJ Wolfe Racing's stable apprentice Shelby Colgate at Belmont this afternoon when she led all the way to claim her first metropolitan victory aboard Team Wolfe stalwart Chasing Chaos. The 20-year-old Colgate, who has booted home 32 winners on the country and provincial circuits since commencing race riding in February last year, sent Chasing Chaos straight to the lead after jumping from barrier eight in the Crown Perth Handicap (Race 6-1400m) and was never headed, holding their rivals at bay to salute by a long neck. While Chasing Chaos hadn't won since May 2016, he has raced super-consistently in five starts since kicking off his current campaign on June 8 and fully deserved this triumph, with his total earnings now closing in on the $200,000 mark. Keen to strike while the iron's hot, the stable is considering backing him up at Belmont next Saturday in the $60,000 Ratings 66+ Handicap over 1600 metres.